How will they cross? 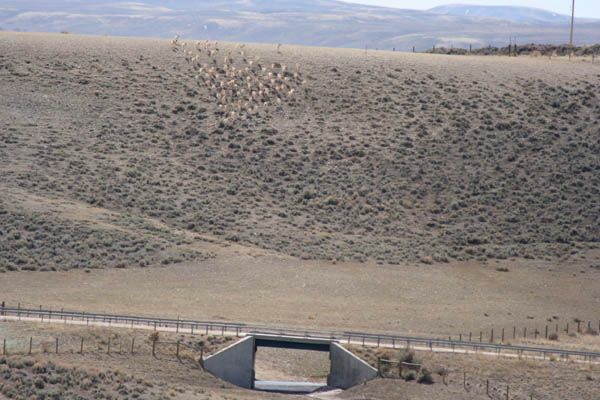 This view is looking from north to south, with Highway 191 and the cattle-wildlife underpass in the foreground. Trappers Point Historical Site is just out of sight on top of the hill to the right.